You may not remember the password of your pdf document when you need to edit it like copying, printing, modifying, etc. Which kind of method you can take to help you resolve the problem. Of course, if you don’t have the passwords of your document and urgently need to use it, you have to decrypt pdf with some kind of program. 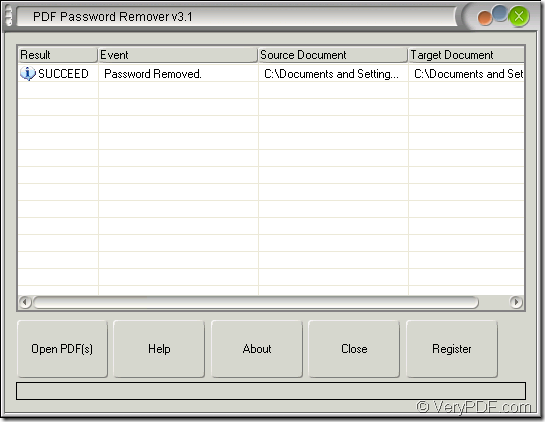 Just by one drag and drop, the the password protected PDF document will be decrypted by the application VeryPDF PDF Password Remover. 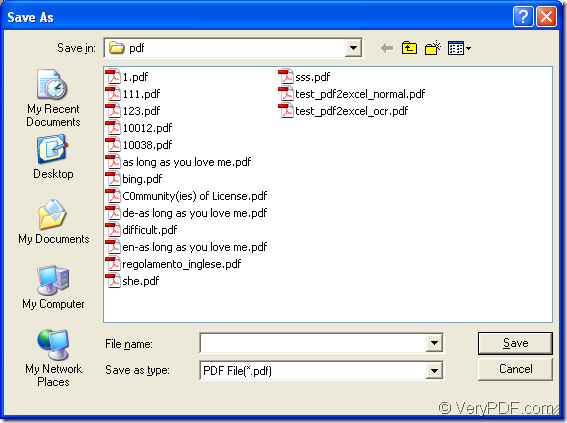 This is really a smart and easy program which is stand-alone and support to decrypt pdf in batch. In order to use the program, please click here to download it and then install it on your computer. By double clicking the application icon, you can open the program and see the interface of it on your screen. Please see it in Figure 1. To add the encrypted pdf document into it, you can click Open PDF (s) button to open file picker window from which you can choose the document you need. Or you can use drag and drop operations to directly add pdf into the application. If you add a password protected PDF into the application, PDF Password Remover will decrypt pdf without delay and a window for saving the decrypted pdf will pop up so that you can save the target file in it which is shown in Figure 2. You can choose the output location and rename the target file in this window. 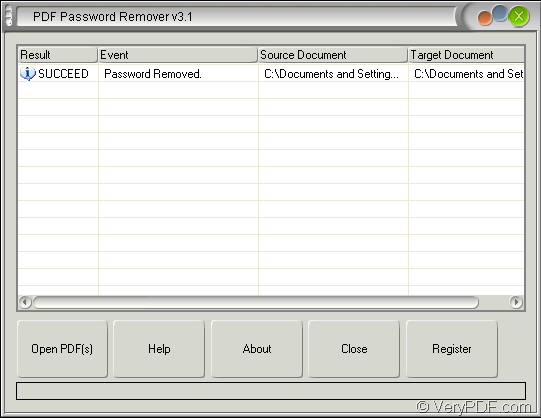 Then PDF Password Remover will decrypt pdf successfully and the success information will be shown in the interface of the application like the one shown in Figure 1. The whole process is finished instantly and you will not need to wait over 1 minute. 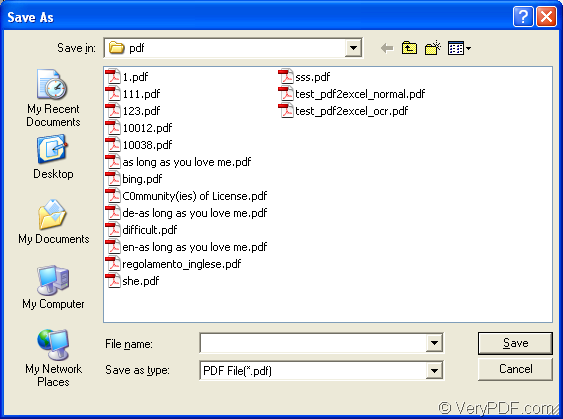 So with this powerful helper, you can easily decrypt pdf document of yours. If you still have any questions about VeryPDF PDF Password Remover, you can enter the homepage of it or contact the support team of VeryPDF. This entry was posted in PDF Password Remover and tagged decrypt pdf, in batch, password protected PDF. Bookmark the permalink.